Wondering if you think this is still the best solution for such a tool? Seems to now be unsupported. But it's pretty expensive if you only use it for that. For .NET and Web development in Visual Studio though it has tons of enhancements that are extremely nice and worth the $250 license, but just for the file structure not so much. 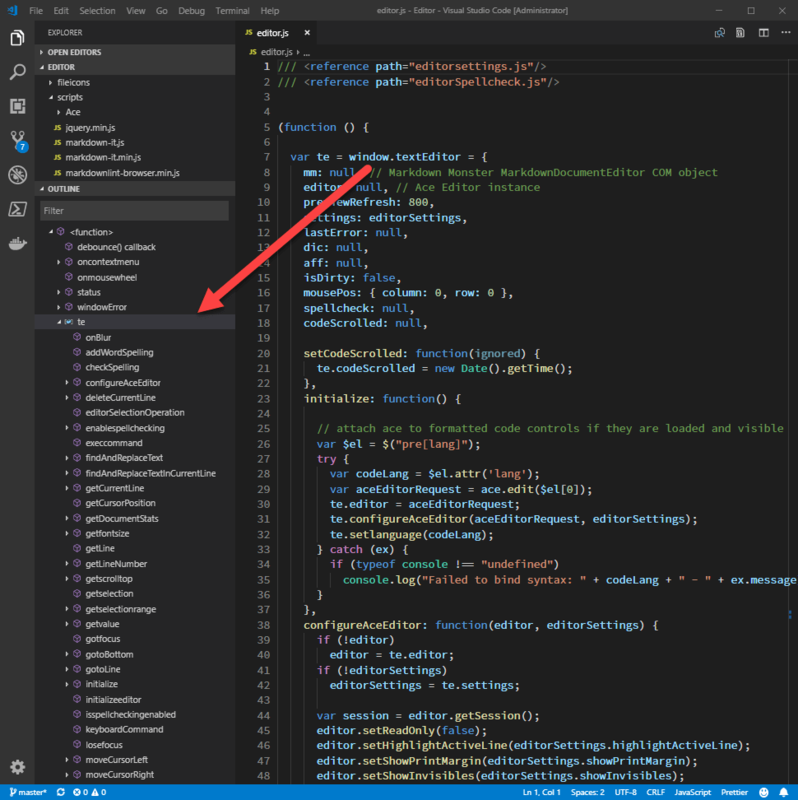 Visual Studio Code is very interesting... It seems really quick, snappy sort of like NotePad. Wow - I read the West-Wind topic in the link you provided.... WoW there is even a Visual Foxpro plugin, that is amazing! Are you using it as your VFP editor? If yes, do you stop the server to edit the file? Seems like anything that is running would crash, if you make changes without unloading oProcess. I don't use VS Code as my primary editor for Web Connection projects. I still use Visual Studio mainly because the WC Addin provides a few nice features like opening the Fox editor directly, and launching the active page and also for deploying the Web content to a live server directly from there. I do love Code's quick, loose editor so for writing lots of code quickly - especially HTML or JS code I often use VS Code then switch back to VS for publishing or testing the page. FWIW, Visual Studio also supports opening and editing FoxPro files now (via textmate syntax extensions - I think they are built in now, no addin required). One nice thing about any editor but the FoxPro editor is that they don't lock the file like the Fox IDE does. This means you can edit files while they are running. For Web Connection though you still have to stop and restart the Web Connection server after making changes to code. I've been noodling around with some tooling that can detect file changes and automatically stop and restart the server as well. In combination with the BrowserSync tooling in Web Connection 7.0 (blog post) that might end up being a full change a file and restart everything solution.